Nichols, Buford L. 2003. 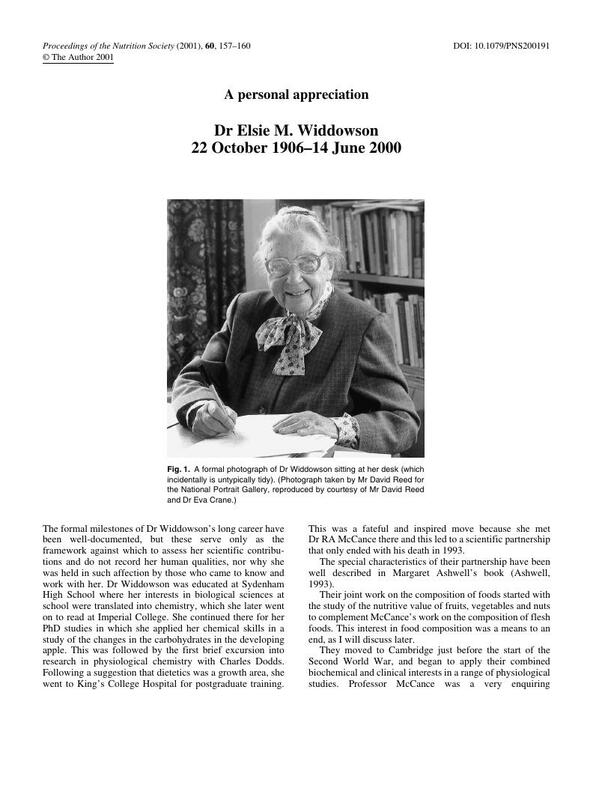 Icie Macy and Elsie Widdowson: Pioneers of Child Nutrition and Growth. The Journal of Nutrition, Vol. 133, Issue. 11, p. 3690. McCarthy, S. N. Gibney, M. J. Flynn, A. and Livingstone, M. B. E. 2002. Overweight, obesity and physical activity levels in Irish adults: evidence from the North/South Ireland Food Consumption Survey. Proceedings of the Nutrition Society, Vol. 61, Issue. 01, p. 3. Ashwell, M (editor) (1993) McCance & Widdowson. A Scientific Partnership of 60 Years, 1933–1993. London: British Nutrition Foundation.